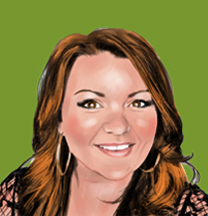 Amy has worked on a host of integrated campaigns for a wide range of clients. These include: Samsung, Coca Cola, Lloyds Banking Group, Calvin Klein and many more. The disciplines she manages include TV, Radio, Outdoor, Digital, Experiential, Brand Alignment, Social Media and DM. Known for thinking 'outside of the box' she always comes up with creative and interesting ideas to leverage campaigns and get people talking. In her spare time, Amy loves music, fashion and classic cars.